AT is characterized by cerebellar ataxia, oculocutaneous telangiectasia, immunodeficiency, radiosensibility and predisposition to tumours, both in the affections and in their family. Difficulty at motion control which become evident in the first years of life and is getting worse during the school age till pre-puberty. The patients may manifest problems in maintenance standing or sitting position and tendency to oscillate. Around the second decade of life, the major part of the children with AT are forced to use wheelchair to travel long distances. Include the writing, coloration and use of tools to eat. The involuntary movements may begin at any age and may worsen over time. These uncontrolled movements may occur in various forms, including small jerky movements of the hands and feet (chorea), circular movements slower than the upper body (athetosis), adoption of rigid and distorted position (dystonia), occasional uncontrolled jolts (myoclonic) and various rhythmic and non-rhythmic movements as attempts at coordination (tremors). Difficulty at coordinating the head and the eyes’ movement in order to move the gaze from a point to another, as for example when reading. 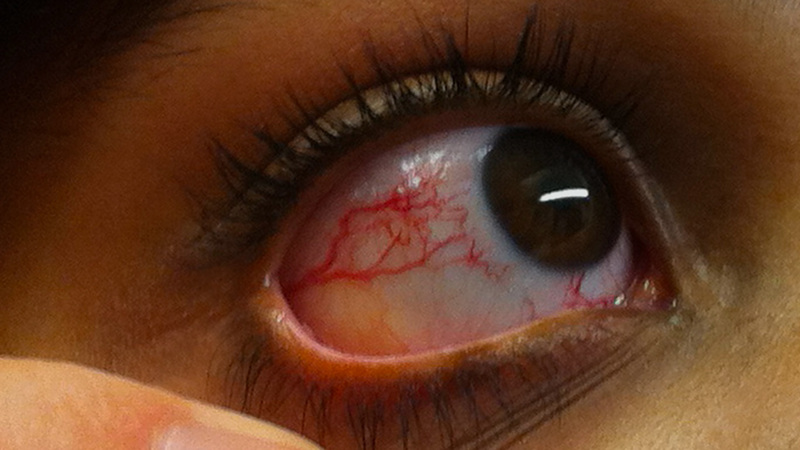 Small dilatations of the capillaries of the skin, especially in the sclera of the eyes and on the cheeks. Occur in around two-thirds of the patients with AT. Many patients have recurrent infections of superior and inferior respiratory tracts. Develop in more than 25% of patients with AT. Pulmonary problems may occur as: 1. Recurrent or chronic sinopulmonary infections. 2. Pulmonary diseases, typically bronchiectasia, caused by inefficient cough, ingestion disorder, immunodeficiencies and decreases pulmonary clearance. 3. Less commonly interstitial lung disease. Increased tumour risk (around 25%), particularly lymphomas and leukemias. The treatment should avoid using radiotherapies and chemotherapeutics that are particularly toxic to subjects with AT. Delayed or incomplete pubertal development and, in some cases, early menopause. Common, especially in the second decade of life, due to neurological deteriorations that interfere with mouth and pharynx coordination, which can make chewing difficult and prolong the meal times excessively. Slow and mumbled speech producing distorted sounds.